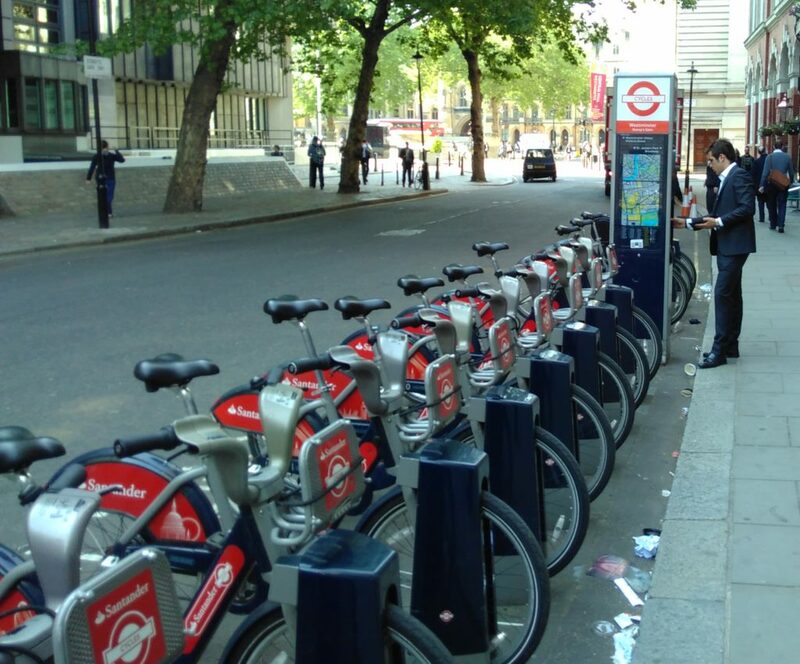 Earlier this week I have a very nice couple of sunny days in London attending a training course and a conference. It’s a nice change to attend a course (rather than delivering one!) and is also a great opportunity to add to my CPD log (particularly important for my Chartered Geographer status with RGS-IBG). Some of my transport around London! On the Monday I attended a half-day workshop on Linked Data, organised by Dr Claire Ellul at UCL and run by Bart De Lathouwer from the Open Geospatial Consortium. I’d come across the term linked data in various different situations, but hadn’t really done much with it, and this was a great opportunity to learn about it. The key bit about linked data is that it is solely formed from triples, sets of three, in the form “subject, predicate, object” such as “The pool – is – blue” or “student – name – value”. It also is a fundamentally different way of structuring data from a “traditional” relational database and so avoids many of the limitations, but also requires a completely different way of thinking about the data. This is quite a jump from what we are used to, and I think it will take a little while for linked data to properly take off. This is a good resource (http://www.opengeospatial.org/blog/1673) for some information on how OGC are working with Linked Data. 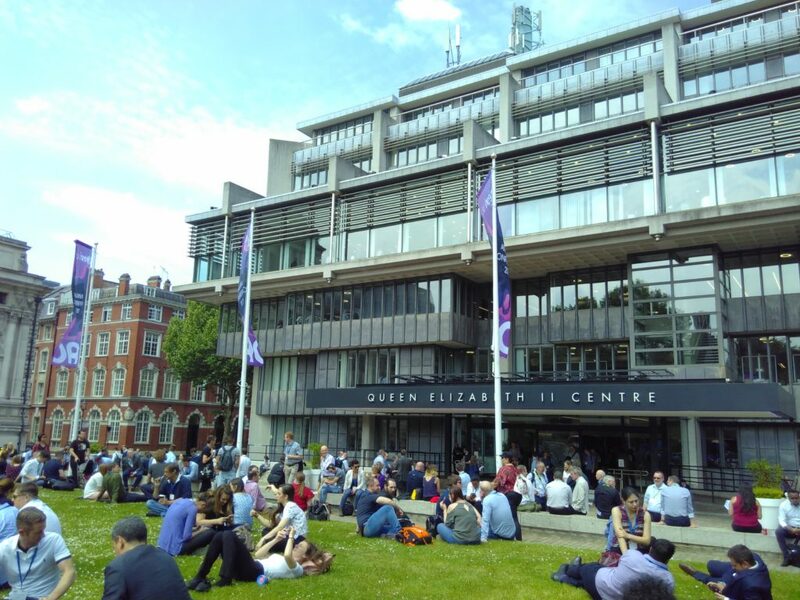 On Tuesday it was ESRI UK’s Annual Conference, based at the Queen Elizabeth II Centre near Parliament. 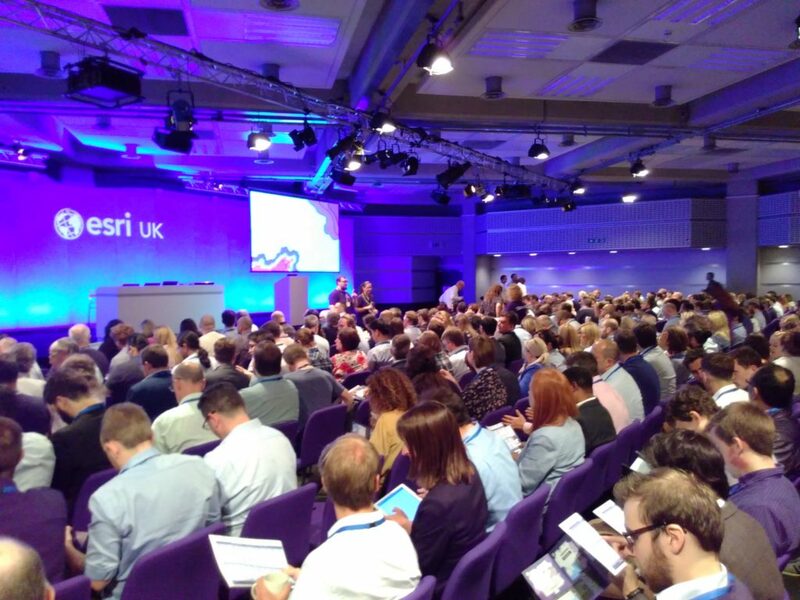 It was a great conference, with a massive range of examples of how ESRI’s various different products could be used. There were some great examples of using Strava data to help Jersey understand cycle route usage across the island; using this data to identify and remove bottlenecks in their infrastructure. We also had a presentation on how City Engine was used by Disney to help them develop the city behind the film Zootropolis (2016), allowing them flexibility to create and tweak a whole city design with limited time and resources. A good turn out for the conference! Unsurprisingly a significant chunk of content was on conversion from ArcMap to ArcGIS Pro, their new flagship product. There is a big focus around users having an identity and using this to both access local and remote resources for ArcGIS Pro (including, no doubt, an element of licensing). There was also a reasonably strong theme about pushing out GIS to non-GIS users, and making it easy to use for new-comers, particularly with the development of ArcGIS Pro which, for example, automatically includes a base map when you start a new project. Possibly not ground-breaking for regular users of GIS, but a big help to someone coming to GIS cold – now they have a map they can add their data to, rather than just a big blank space (when you start ArcMap). If you would like a chat about getting more from your GIS (ESRI or other packages! ), or GIS Training for small groups, please do email nick@geospatialtrainingsolutions.co.uk or give me a call on 01209 808910. This entry was posted in ArcGIS Pro, conference, ESRI, training on 24 May 2018 by Nick.